XMind Blog: 50% OFF on XMind 7.5 Launch Day – ONE day only! 50% OFF on XMind 7.5 Launch Day – ONE day only! It’s time to celebrate! 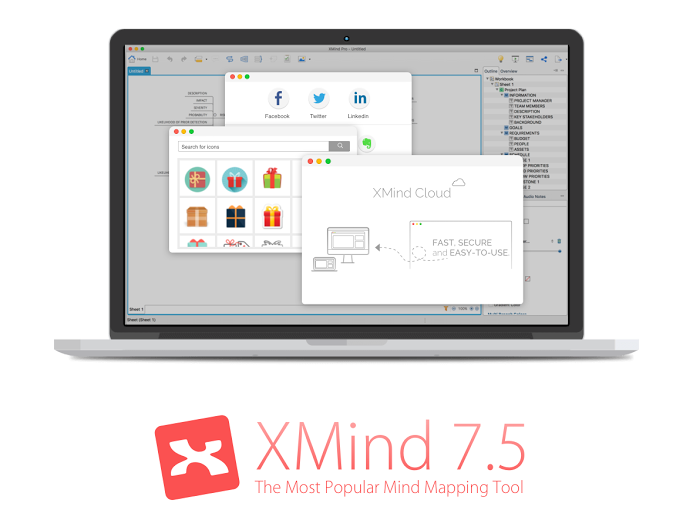 XMind will publish XMind 7.5 with XMind Cloud on June 29. All of us here at XMind would like to take this opportunity to send out a genuine THANK YOU to all XMind lovers. 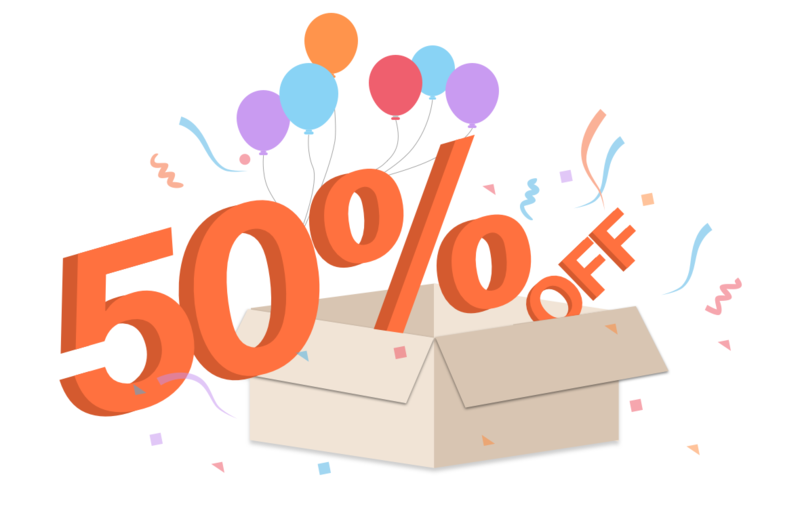 To celebrate this remarkable milestone, we’re excited to give you 50% OFF on XMind Pro. This offer is valid only for ONE day (29th June), so don’t miss out! To save 50% on XMind Pro, please enter the coupon code CLOUDLAUNCH on the order page. At XMind, we are always working on new ways to help our customers use XMind with efficiency. 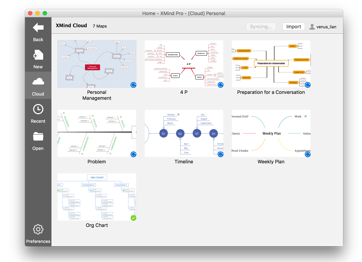 As syncing becomes an integral part of our life and work, XMind, the most popular mind mapping software, brings you a new version 7.5 with XMind Cloud. What’s New in XMind 7.5? XMind Cloud makes it easier than ever to automatically sync files across multiple Mac/PCs. Fast, secure, and easy-to-use. Online viewing and editing in browser is also awesome (coming in July). 1 GB storage space. 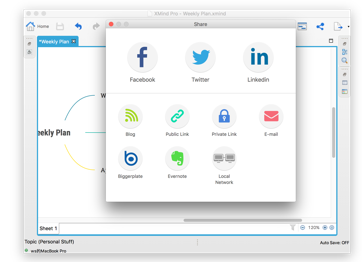 In order to simplify the sharing process, XMind 7.5 offers an improved sharing feature which enables you to share your mind maps directly on Facebook, Twitter and LinkedIn. Even embed to your blog. As the saying goes, “Pictures are worth a 1000 words. ” Right images make a more intuitive mind map. XMind 7.5 enables you to search and drag more than 60,000 icons of various styles directly from Iconfinder.com, the biggest icon library in the world. Has the UI of 7.5 been adjusted to handle the high DPI screens that are becoming more common? On a Surface Pro 4, for example, most of the menus, icons, and controls are really tiny and difficult to use. Hi, Edh, we know that problem and we are working on that. I am sure we will handle it when XMind 8 releases latter this year. Thank you very much. Thanks Owen. This is a big issue for me, but I am still buying the discounted product on June 29! I’ve been using 7.0 for about 2 months and have had it on my wish list. The discount is enough to push me over, and really look forward to the HDPI support. Hi, Edh, we recommend XMind 7.5 Pro with 2-Year upgrade service, which enables you to upgrade to our next big release for free. Please enter the coupon code CLOUDLAUNCH on the order page and you can save 50% on XMind Pro (June 29). It isn’t working. I put it in and it shows the discount, but after I put in my address and continue with the checkout, the code remains but shows zero discount. help! Initial purchase screen accepts discount code and lists correct discounted price. I tried placing the order but that screen also came up with the wrong price so I cancelled the order (in theory). Some technical problem happened but we have fixed it. Please try again! My presentation mode not working… how to counter this issue? I need a XMind mobile phone APP. Excuse me, do you have a development plan for mobile phone APP?